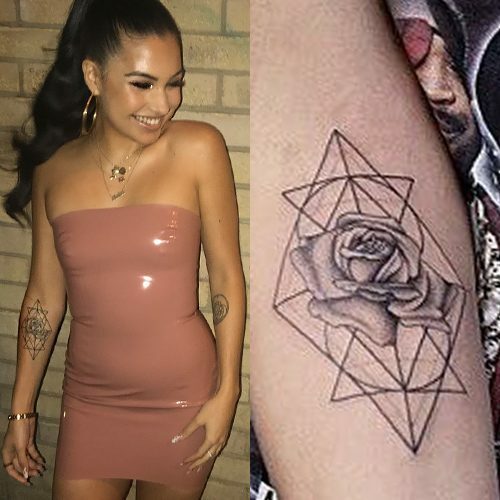 Mabel McVey has a geometric design and a rose tattoo on her right forearm. 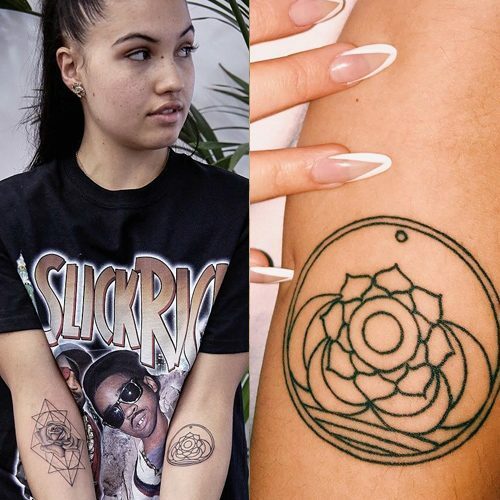 Mabel McVey has a mandala tattoo on her left forearm. 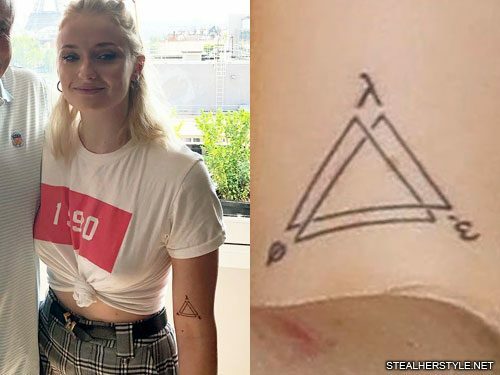 Sophie Turner got this infinite triangle tattoo on her upper left arm in July 2018. The geometric design looks like three overlapping triangles but it is actually made up of one continuous line that weaves over and under itself. 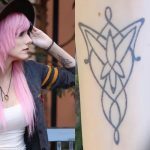 It resembles a minimalist version of both the Viking valknut symbol and the classic impossible triangle illusion. 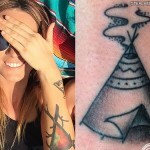 Adding to the cryptic tattoo are three lowercase Greek letters on each corner of the triangle: lambda (λ) on top, epsilon (έ) on the right, and phi (φ) on the left. 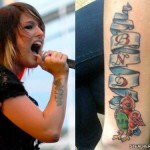 This is a matching tattoo that she shares with her brother Will. 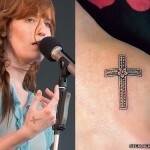 We don’t know why they chose these letters, but their tattoo artist Maxime Plescia-Buchi says that Sophie and Will designed the tattoo themselves.